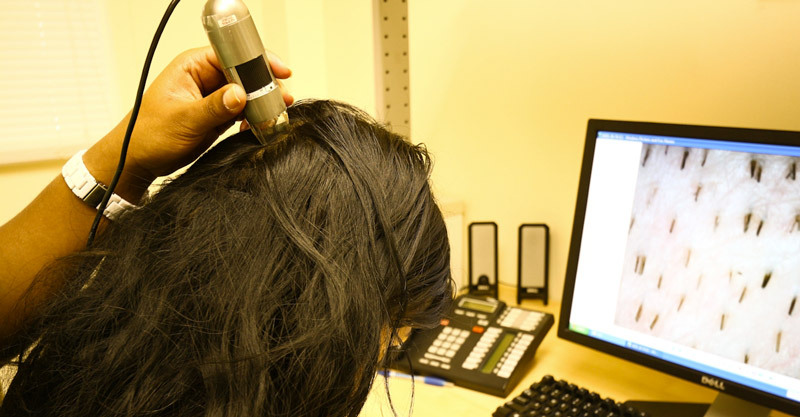 The speed or rate of hair growth can be assessed by measuring the length of hair re-grown after a hair dye treatment. The hair growth rate can be evaluated by the phototrichogram technique. Photographs from the hair roots are analyzed in order to assess the hair density, the hair thickness and the hair growth rate.